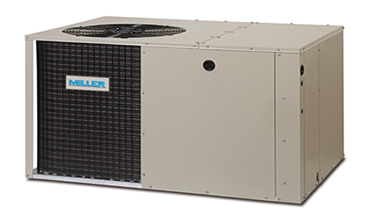 The more you learn about our manufacturing process, the more you’ll see that no other heating and cooling manufacturer compares to Miller’s product quality. The system is installed on the outside of your home, providing cooling or heat from one space-saving unit. You can rely on your Miller expert to make your home more comfortable with digital thermostats and other manufactured home accessories. It’s a comfort to know that Miller is made for your manufactured home, and it’s a comfort you can feel. 1-year warranty on parts and labor. 10-year compressor warranty. Compact footprint and low profile make unit easy to install and transport. Corrosion-resistant drain pan quickly drains away evaporator condensate. Externally accessible service ports allow quick access to refrigerant system without disrupting operation. Pre-coat paint holds its finish and resists corrosion 50% better than comparable units. Custom condenser fan orifice delivers quiet operation. 5-20 kW heater kits are available for backup heat. Built using galvanized steel with a polyester urethane coat finish. The 950-hour salt spray finish resists corrosion and provides excellent protection against weathering and abrasion. 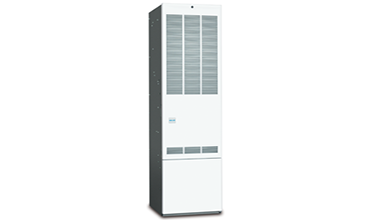 Utilizes environmentally friendly R-410A refrigerant. We use only high quality, dependable components. Our unique manufacturing technique checks your product 150 times to assure that we deliver the best product available to your home. 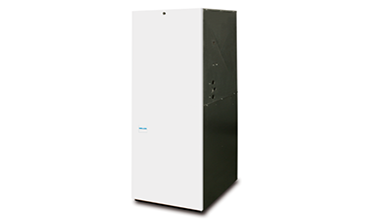 Our electric furnace provides dependable heating in a variety of modes, adaptable to your home’s ductwork configuration. The furnace is also versatile enough to work with split-system air conditioners or heat pumps.